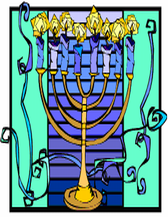 We changed the Date of Chanukah! 6 PM Potluck Dinner, Bring a Dairy Dish ~ Latkes Provided ! No Charge, Just Come Share Your Talents !